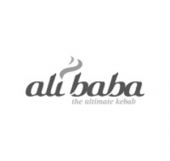 With fresh ingredients and real taste Ali Baba has been the healthy alternative to fast food for over 33 years. Enriched with nutrients, bursting with protein and rich in dietary fibre our food has proven throughout time that our trusted cuisine offering is here to stay. We aim to provide our patrons with delightful, healthy and tasty food ensuring with integrity that satisfaction prevails..